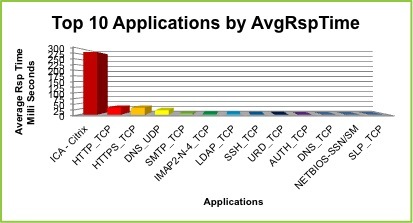 The following graph represents the Top 10 Applications by Average Response Time with Citrix being the slowest to respond. 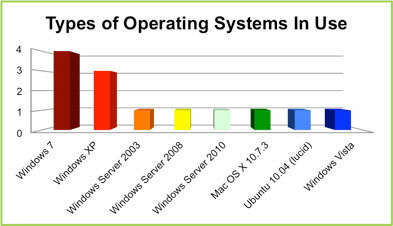 The following graph represents the different types of operating systems being used. 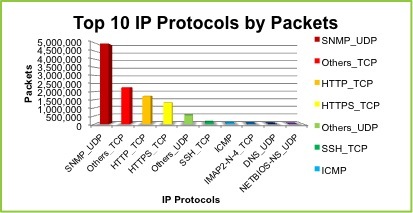 The following graph represents the Top 10 Protocols by Packets with SNMP being the Top Protocol by Packets. The following chart represents the estimated total capacity of the backbone traffic. Click HERE to see an example of the math on how KeenRevolutions determines the estimated total capacity of the backbone traffic.